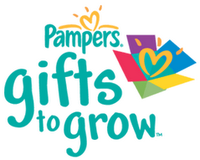 Today only, there are 2 Pampers Gifts to Grow codes to get 15 FREE points. It’s a great program where you earn points that can be redeemed for amazing deals. It’s free to join and you also get access to special deals. This is a great idea if you are a mom or dad and have kids! If you are interested in this program but are unsure on where to start, check out the full list of codes and details of the Pampers Program.